Evans with her American Degree. 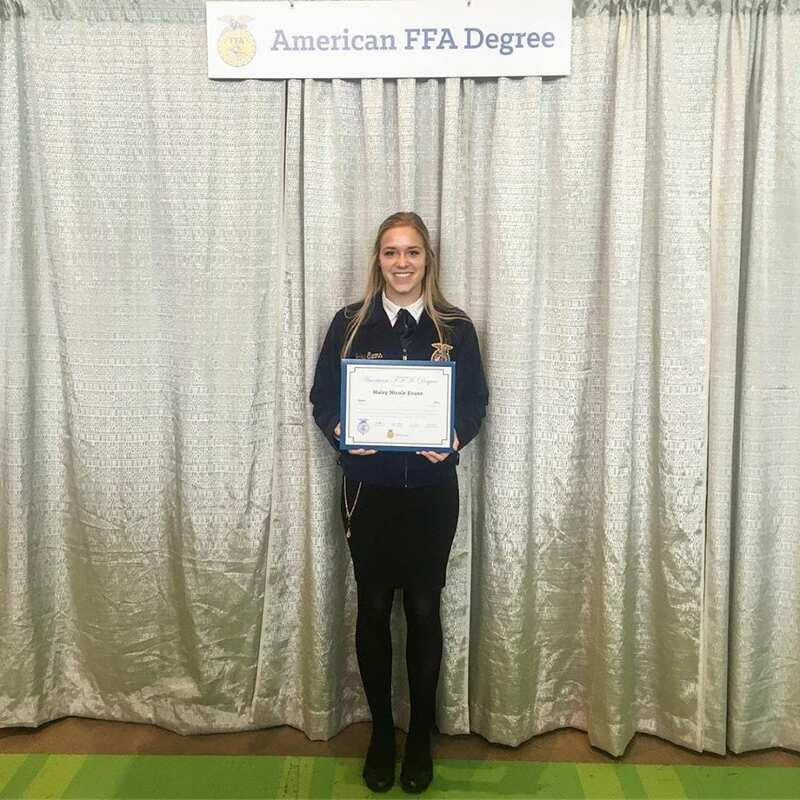 Evans received her American Degree at the 91st National FFA Convention. My FFA Experience was with the Shelby FFA. Throughout FFA, I was involved as the chapter Treasurer for the 2014-2015 and 2015-2016 school year, and I attended Ohio Leadership Camp for three years. I participated in multiple Career Development Events including parliamentary procedure, nature interpretation, soil judging, and more. 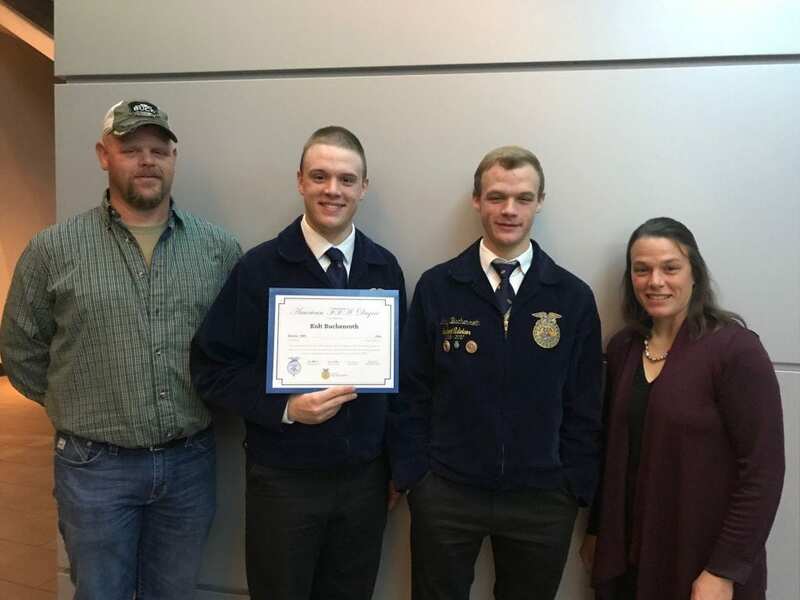 I had multiple Supervised Agricultural Experience projects in the areas of animal systems, communications, and food processing systems. 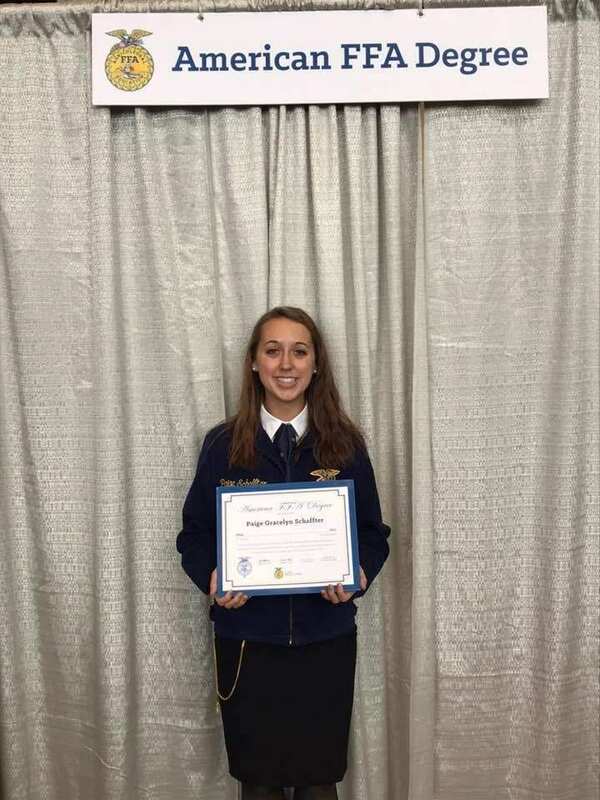 Receiving my American Degree means that everything I have done in FFA for the last six years has been recognized. 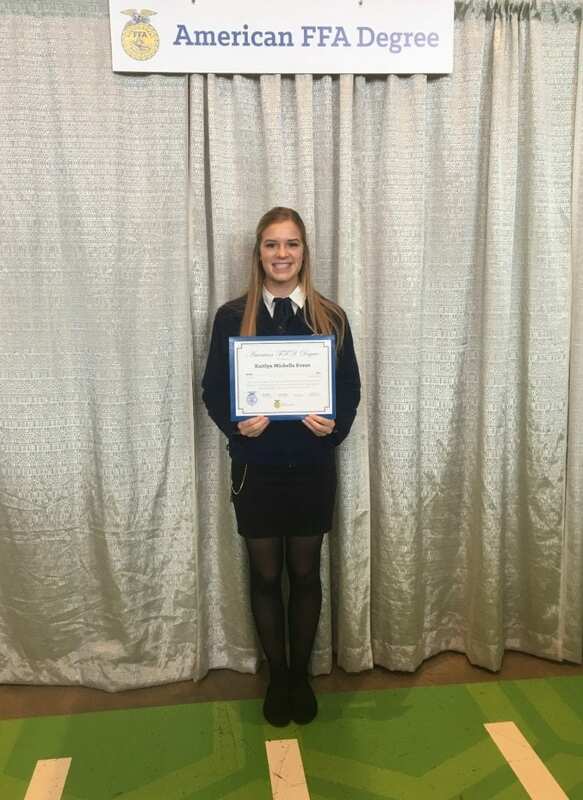 My American Degree means that I have worked hard over the last six years and am in the top 1% of all FFA members. It especially means a lot to me as an Agriscience Education major that wants to teach high school agriculture one day. Receiving my degree ended my FFA membership with the highest honor and started a new chapter in my life as an alumni. 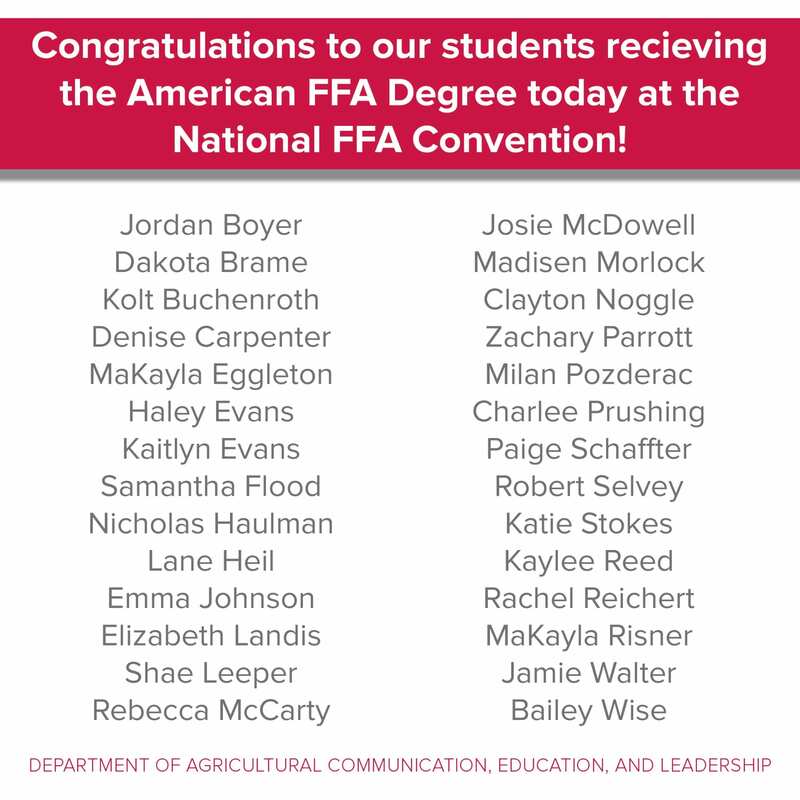 I am excited to begin this new journey and be a role model for future FFA members to achieve their American Degree. Our days are numbered- to conquer our fears, make an impact, and influence others in our blue corduroy jackets . 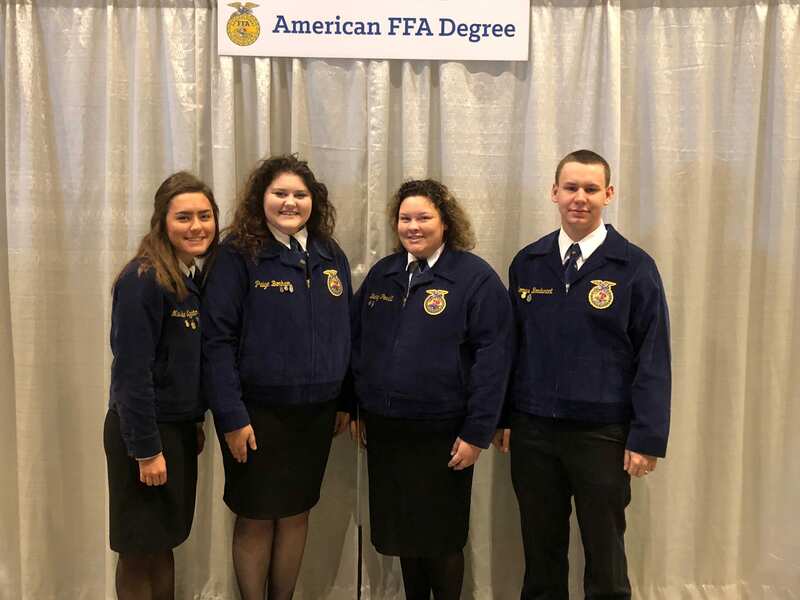 4 years in the classroom; 1,460 days that we as FFA members get to zip up our corduroy jackets, to break the boundaries of our comfort zones, and to better ourselves as leaders. 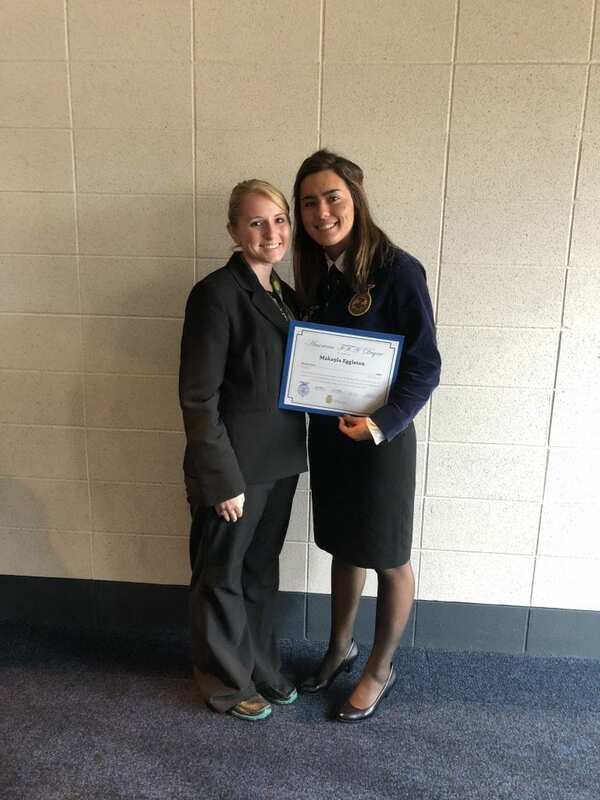 As I reflect on my time in the Miami Trace FFA Chapter, I recognize all the opportunities I was given and I realized all the opportunities I did not take advantage of. I recognize my participation in several CDEs- 2 at a national level, the lives impacted through community service and interaction, and my leadership positions of community development officer and president. I realize the classes, CDEs, and opportunities I missed out on to diversify myself because of fear of failure. Zipping up the jacket one last time embodied the achievements won by the present and past generations of agriculturists. The unity and tradition instilled within the organization and agriculture are not finalized. 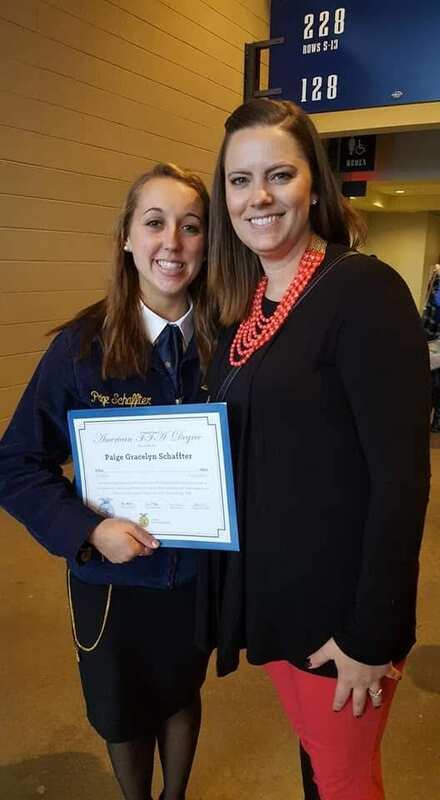 I now get to serve those — community members, progressive agriculturists, supporters, family members, friends, and agricultural educators— who made my involvement in FFA worthwhile. Additionally, I get to serve the next generations of agriculturists as they embark on their journey within the FFA in their jackets. As a preservice agricultural educator, I already find the joys and reward in aiding members in finding their passions. It takes just one — individual, community service activity, conference, convention, career development event, action, voice, etc. — to make an impact. Be the one. 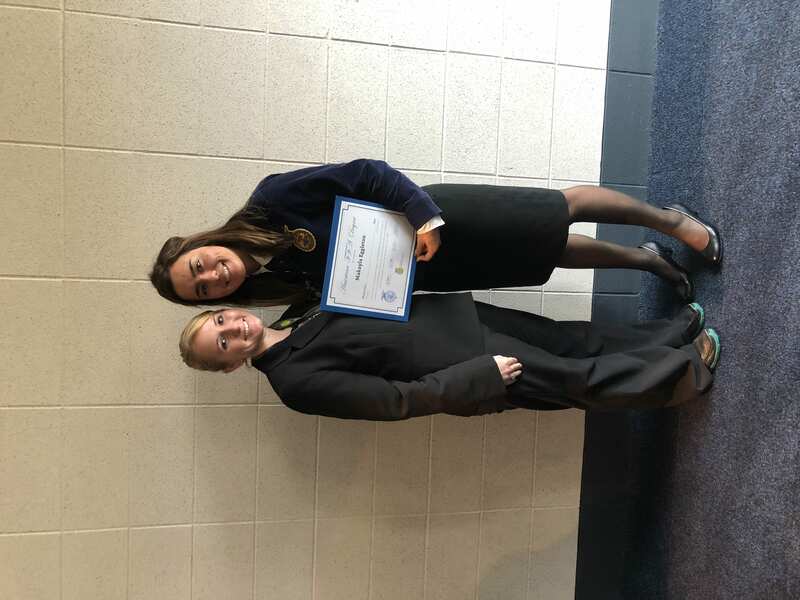 Simply put, my FFA experience has been incredible. The people I’ve met, the skills I have gained, and the fun that I’ve had are unlike any that another organization can provide students with. I had so much fun and wonderful experiences in FFA that I am a little sad to finally hang up my jacket, but I am excited to see what opportunities the FFA Alumni Association can provide me with, and what I can do for current members as an alum. 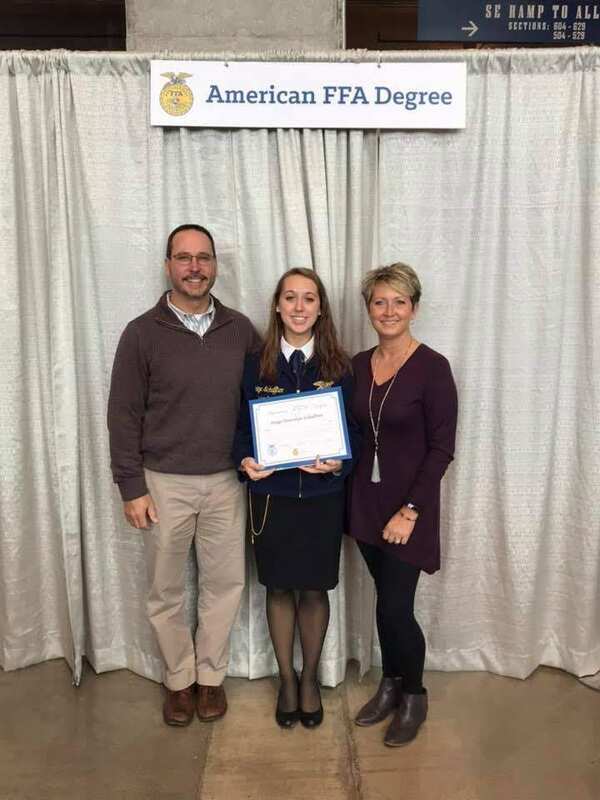 Earning my American Degree really proves to me that I can accomplish anything that I set my mind to, and it is a huge honor to be proud of considering only 1% of FFA members receive the degree. It also makes me proud to be an Ohioan because we had the second most recipients compared to all other states. 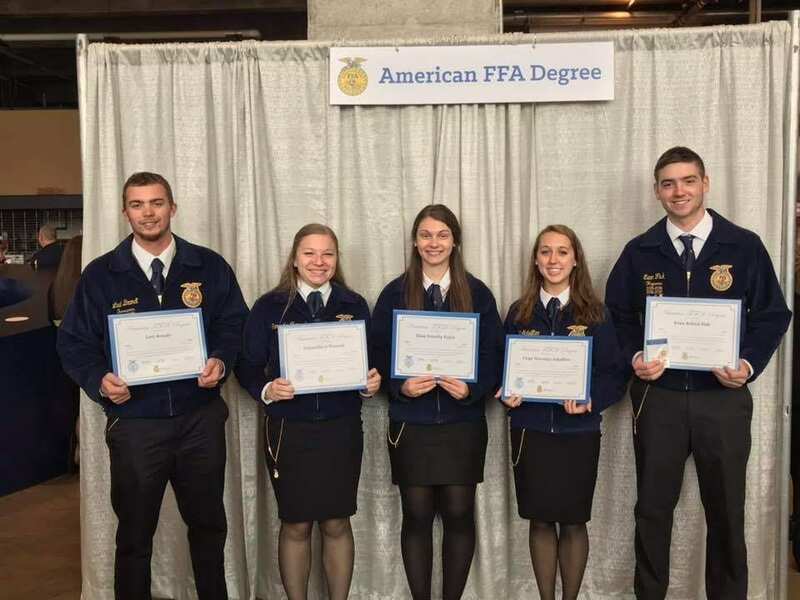 Additionally, the recipients of American Degrees at the 91st National Convention set a record for the most degrees awarded, so that is another thing to be proud of!